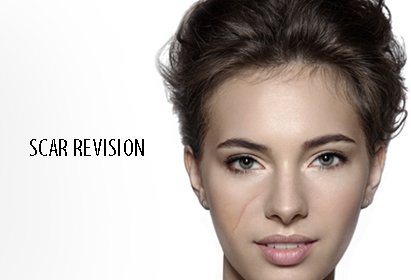 Is your real personality hiding behind your scars, get rid of them permanently with our scar revision programme. Scar revision is a plastic surgery performed to improve the appearance is scars. The different types of scars which can be targeted include discoloration or surface irregularities , hypertrophic scars at wound site, keloids and contracture scars that restrict movement. Depending on type of scars the appropriate technique will be decided by the plastic surgeon. How long does it take for a scar revision to heal? Post surgery there will be some discoloration & swelling. Healing time is approximately 1 to 2 weeks however healing continues for a few weeks until the scar fades.